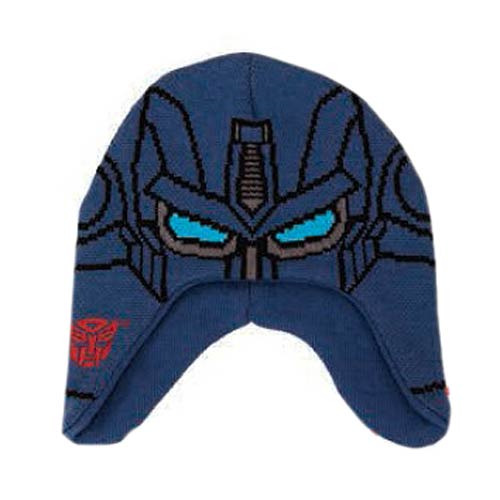 You don't need armor to keep your ears and noggin warm when you're wearing this Transformers Optimus Prime Laplander Hat! A blue cotton hat designed to look like the leader of the Autobot forces, this fun Laplander curves to neatly cover one's ears and features the Autobot symbol. The Transformers Optimus Prime Laplander Hat is one-size-fits-most!